Strolling through the natural and organic section of the grocery store I was looking for something unique and different. 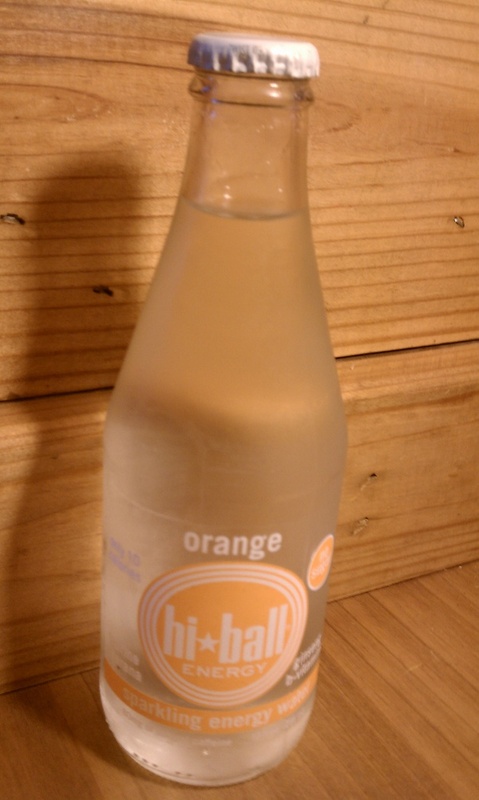 I found it in the form of an orange sparkling energy water. Hi*ball energy is a beverage company out of San Francisco that focuses on making natural and healthy beverages with an energy kick. It does so with a combination of taurine, gaurana, ginseng, b-vitamins, and 80mg of caffeine. They have two types of drinks: juice and water. Their waters which I am trying today have zero sugar AND zero sweeteners. The sparkling water only has 10 calories per bottle and surprisingly doesn’t raise your cojones as some people maybe wonder. It does however have a nice nose of orange faintly in the background. It slightly tastes of some sort of citrus acid in the back of tongue but overall there is not much flavor, just bubbles. While I am still growing to love sparkling waters there one is refreshing. It has great potential to be used as a mixer in more adult beverages with some caution and to dilute calorie dense syrupy soda or juices. Hi*ball energy has an interesting premise and I hope to try their juices soon. They have a very informative website and it’s clean and exciting. It displays the nine flavors they have as well as a bunch of social media links that are easy to find. So what’s my final thought on the beverage? This particular drink gave me a nice energy kick that was nice after my morning workout. Although I wish there was some more flavor, being a sparkling water with 10 calories and no sugar or sweeteners I understand why. For a sparkling water however it had a nice natural smell and was rejuvenating.